Did anyone just look at that picture of doors and go: "Huh, weirdo." and then click on this to see what on earth this is all about? Well, that's what the doors are for. 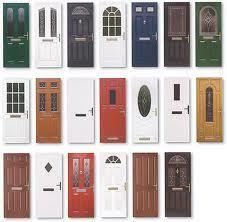 I don't think anyone has had a picture of doors for any of their novels, so I'm putting this on. Also, the doors represent the fact that, as you open one, you step into another world. And this time, whichever door you open, you'll step into my world. Where you'll do things, my way. Doors open into different rooms, different houses, different lives. Doors are underestimated beings. And you definitely wanna get into this. What Happens... When You DON'T Do Things My Way!